Stock Market Course in Delhi is the ultimate way to build a productive career. But before you head for the classes, you’ll first have to confront tougher choice to make: how are you going to choose what to study? The initial phase of the stock market program is dedicated to the completion of the core. These are designed to build a strong foundation of the basic stock concepts across various share trading skills. During the latter part of the program, learners can choose a particular specialisation area. There are several factors that influence the decision regarding the area you wish to specialise. The financial market is vast. Depending upon your priority, market demand, job prospects, salary pay scale, interest area, job profiles, eligibility, and compensation package. YouTube- a breeding ground for the web’s stock market educational videos. 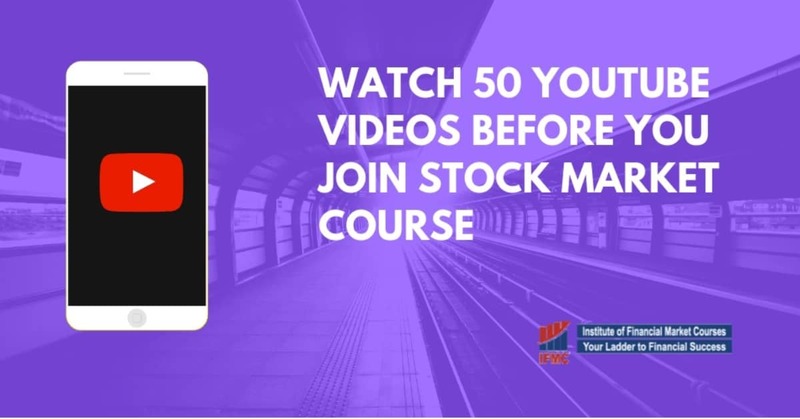 In recognition, we take a look back at site’s 50 awesome videos to watch before you join the stock market course in Delhi. We’ve been collecting Stock Market related videos since 2018. Here, you’ll find a stock market course for beginners, how to invest in stock market, options strategy, currency market, commodity market, and best intraday and day trading strategies based in Uni-Directional Trade Strategies model. The videos will help you understand the stock market course specialisation. Let’s look at each one of them. The increasing competition in the stock market has necessitated the need for learning core. Stock market course for beginners is a short-term preparatory program. The program is designed for anyone who wants to get started with the basics of share trading, the stock market, and technical analysis. The course is almost entirely practical in nature, although increasingly elements of the securities market and history have been introduced. 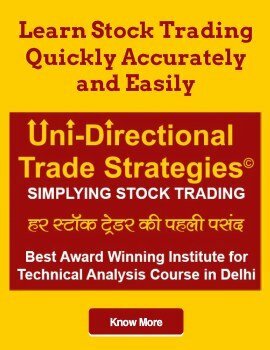 Foundational courses qualify for those who pass to certification and move on to an intermediate or more advanced level trading courses in Delhi. Here is a list of YouTube Videos You Must Watch if you are planning to learn share market courses in Delhi. 1.शेयर मार्केट में शुरुआत कैसे करे? || How to begin in Stock Market? 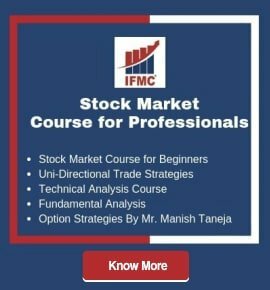 Intermediate Stock Market Course in Delhi are NSE certified courses. The courses are based on 11 NISM NCFM modules. 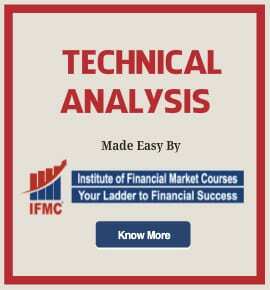 The course uses a powerful combination of fundamental and technical analysis to empower you to earn higher profits. Subsequently, that is structured to deliver an insight into short term trading on important share market: capital market, currency market, equity derivatives market, and more. While every course range from 30 to 60 days. This online course uses an interactive environment, where participants interact and learn from a professional trader and mentor. Thus, using the unique principle of stock investing, it teaches you a tool to analyse market, future, and options. Advanced stock market courses in Delhi is a full-time training program. The program allows students to develop stock trading skills and expertise in order to improve their professional qualities. To conclude, the program focus on simplistic money making techniques with the help of live trading sessions. While choosing a specialisation area, it always in student favour if your interest is aligned with career in stock market. If you choose a higher pay, it may be possible that it wouldn’t sustain your long-term interest. So, take your time to think, use these videos as your guide. Hope you like our ultimate list to Watch 50 YouTube Videos Before You Join Stock Market Course in Delhi. If you have any suggestion – share with us!